Poor results: FTD, StrataSys, Tesserent and others. Centrify: Thoma Bravo acquired a majority interest and appointed a new CEO. Charles River Systems: State Street completed its acquisition of Charles River and appointed its Global Exchange business leader John Plansky as CEO of Charles River. Escher Group: Hanover Active Equity Fund LP acquired Escher Group earlier this year and the CEO role was open since then. A new CEO is appointed lately. SigmaTEK Systems: Battery Ventures acquired software company SigmaTEK Systems and named a new CEO, Robbie Payne, replacing SigmaTEK founder Ben TerreBlanche. 14 of the 31 are in the West Mountain/Pacific area, with 11 open roles being in California. In EMEA, Sweden has 2 open roles.In Asia Pacific, Malaysia has 2 open roles. 17 of the 34 are in the West Mountain/Pacific area, with 4 are in the West Mountain region all 13 appointments being in California in West Pacific. Appointments: There were five women appointed CEOs and 38 men. Three of the five women are in Europe (one each in Denmark, Sweden and Gibraltar) and two in California (Nextdoor and Benetech). 40% of women appointed were internal appointments: promotions or from the existing board. 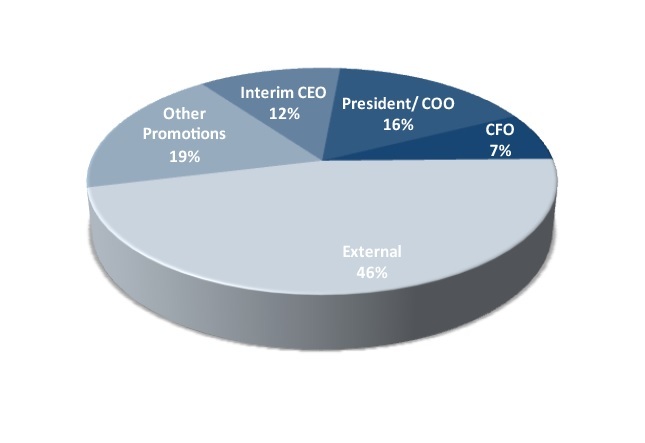 55.3% of the men appointed were “internal”, i.e. promotions or from the existing board. The number of women is five so the reversal could be reversed with one flip. However, internal promotions in the men is more significant. 5 women appointed were – 2 in the US (both in California), 3 in EMEA (1 each in Denmark, Sweden, and Gibraltar). Northeast & Mid Atlantic: CBS Corporation, NY; athenahealth, MA; Commvault Systems, NJ; Everbridge, MA, Digital Guardian, MA. Pacific: Intel Corp., CA; Electronics for Imaging, CA; TiVo Corporation, CA; QAD, CA; U.S. Auto Parts Network, CA; Sigma Designs, CA; Marchex, WA; Immersion Corporation, CA; BSQUARE, WA; Blizzard Entertainment, CA; Mitek Systems, CA; Airgain, CA; Kymeta Corporation, WA; Digital Locations, CA; Peregrine Semiconductor, CA. U.S. Auto Parts Network, CA, Oct 2018 - U.S. Auto Parts Network announced that Mr. Aaron Coleman has resigned as CEO and Director of the company to pursue other interests. In connection with Mr. Coleman’s resignation, the company has initiated a search for a new CEO and until one is appointed. British Columbia: Absolute Software, BC; HIVE Blockchain Technologies, BC; CounterPath, BC. Wayside Technology Group, NJ - Wayside Technology Group named interim CEO Mr.Steve DeWindt as the permanent President and CEO of the company. He replaces Simon F. Nynens who resigned in May 2018. R/GA Media Group, NY - R/GA has announced that Sean Lyons, the company's US President, will assume the role of Global CEO. The appointment, made by R/GA Founder, Executive Chairman, and CEO Bob Greenberg, represents the first time the CEO role will be filled by someone other than the company's founder. R/GA Media Group operates as an agency that offers digital marketing solutions. Charles River Systems, MA - State Street Corporation announced that it has completed its acquisition of Charles River Systems (Charles River Development). John Plansky has been named CEO of Charles River Development. Plansky has led State Street’s Global Exchange business for the last 18 months, where he oversaw the expanded launch of a number of front-office solutions including State Street Verus SM, investible indices and DataGX(SM), State Street’s end-to-end data warehousing solution. He replaces Peter Lambertus who founded Charles River Development in 1984 and served as President and CEO until the firm's acquisition in 2018 by State Street Corporation. InsPro Technologies Corporation, PA - InsPro Technologies Corporation appointed Anthony R. Verdi as President and CEO. Mr. Verdi, a 13-year veteran of InsPro and Health Benefits Direct Corporation, its predecessor company, also serves as CFO. Mr. Verdi’s appointment follows the resignation of David Anderson as CEO. The resignation was not the result of any disagreement between the Company and Mr. Anderson. InsPro Technologies Corporation, a technology company, develops, sells, and supports Web-based insurance administration software application for insurance carriers and third party administrators in the United States. Micron Solutions, MA - Micron Solutions appointed Mr. William J. Laursen as its President and CEO. Mr. Laursen was formerly the EVP, Sales and Strategy of The Coghlin Companies. Current President and CEO, Mr. Salvatore Emma Jr. has accepted the position of COO. Micron Solutions, through its subsidiary, Micron Products, operates as a contract manufacturing organization that produces medical device components requiring precision machining and injection molding in the United States, Asia, Europe, Canada, and internationally. DataOnline, NJ - DataOnline, a leading global provider of Industrial Internet of Things (IIoT) solutions, announced that COO Chet Reshamwala will transition to CEO. Reshamwala will succeed founder and current CEO Martin Adams, who will transition to a strategic business development role, where he will focus on building key account relationships and helping customers improve safety, efficiency, and the customer experience. DataOnline recently completed acquisitions of Independent Technologies and Wikon GmbH. COTA, NJ - Cota announced that Michael Doyle joins the organization as president and CEO. He will also serve as a member of Cota's board of directors. Doyle joins Cota from QPID Health, where he served as president and chief executive officer from 2012 to 2018. COTA provides a cloud-based platform that collects select oncological patient level data to provide real-time functions for oncologists. Algorand, MA - Algorand announced the closure of a $62M equity investment and the addition of senior executive hires from leading global technology brands. Steve Kokinos, co-founder and Chairman at Fuze, and W. SeanFord, co-founder of uPromise and former CMO of LogMeIn, join Algorand as CEO and COO, respectively. The funding, combined with the executive hires, will help launch the revolutionary blockchain protocol designed by MIT’s Silvio Micali. A serial entrepreneur, Kokinos has founded and grown three successful companies – Fuze, BladeLogic, and WebYes. Algorand owns and operates a decentralized digital currency and transactions platform. Innovu, PA - Innovu appointed global retirement and employee benefits leader, Hugh O'Toole, to the position of CEO and Chief Commercial Officer. O'Toole joined the company after serving as SVP of MassMutual and recently joining the Innovu board of directors. With this move, founding President and CEO, Pat Stewart, will remain as President to lead the company's partner and client experience, operations and innovation functions. With the addition of O'Toole to the executive leadership team, Innovu plans to scale rapidly to align with advisors to penetrate new markets and industries with its InnovuLens™ suite of solutions. Innovu develops and provides cloud-based data solutions for employers, benefit advisors and brokers, and associations. SigmaTEK Systems, OH - Battery Ventures announced it has acquired software company SigmaTEK Systems. The company also named a new CEO, Robbie Payne, replacing SigmaTEK founder Ben TerreBlanche. Payne was most recently the SVP of operations at education-tech company IO Education in Atlanta. Previously he held senior roles at Horizon Software International. SigmaTEK Systems designs and develops SigmaNEST, a nesting software solution for fabrication, material utilization, motion optimization, manpower efficiency, manufacturing automation, and data management. Vivid Seats, IL - Vivid Seats appointed Stan Chia to CEO. Vivid Seats co-founders Eric Vassilatos and Jerry Bednyak will transition daily operations to Mr. Chia and the leadership team. Both co-founders will remain actively involved as co-chairmen of the Vivid Seats board of directors and also as major investors. Most recently, Mr. Chia was COO at Grubhub. Prior to Grubhub, Mr. Chia led strategic businesses and organizations at Amazon, Cisco and General Electric. Vivid Seats operates an independent secondary ticket marketplace. Premiere Global Services, GA - Premiere Global Services announced that its board of directors has named Don Joos as CEO. Mr. Joos succeeds Ted Schrafft who is retiring and has agreed to remain in an advisory role through the end of 2018. Most recently, he served as the President and CEO of ShoreTel driving that business from a pure product play into UCaaS space. 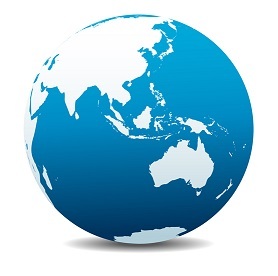 Premiere Global Services provides collaboration software and services in North America, Europe, and the Asia Pacific. ADDvantage Technologies Group, OK - ADDvantage Technologies Group has appointed Joseph Hart as permanent CEO and President of the company. Hart has been a member of the Board since August 2015, and became interim CEO and President of the company in July 2018. Hart replaced David Humphrey, who stepped down from his position as CEO and as a member of the Board of Directors to pursue further opportunities in July 2018. ADDvantage Technologies Group distributes and services electronics and hardware for the cable television and telecommunication industries worldwide. Momentum Telecom, AL - Momentum Telecom announced that Todd Zittrouer will be named CEO in January 2019. He has served as company's President since 2015. Bill Fox, will be stepping down from his current role as CEO and has been named the company's Executive Chairman and will serve on the Board of Directors. Prior to his current position, Zittrouer held several different leadership positions at Momentum and IBBS, which was acquired by Momentum in 2014.The company received a majority investment from Court Square Capital Partners in March 2018. Momentum Telecom provides voice over Internet protocol (VOIP), broadband monitoring and provisioning, and managed support services to residential customers, small businesses, and enterprises in the United States. U-Tegration, TX - U-Tegration announced that Bart Thielbar will take on the new role of CEO. Mr. Bin Yu will serve in the role of Chairman of the Board and focus his time on company strategy. U-Tegration provides SAP consulting solutions in North America. ANGI Homeservices, CO - ANGI Homeservices appointed Brandon Ridenour as its next CEO to succeed Chris Terrill. Mr. Ridenour served as Chief Technology Officer at ANGI Homeservices, as well as chief of both product and technology at HomeAdvisor from November 2011. ANGI Homeservices owns and operates the HomeAdvisor digital marketplace service to connect consumers with service professionals for home repair, maintenance, and improvement projects. Instructure, UT - Instructure appointed the company President, Dan Goldsmith, as CEO. Josh Coates will transition from his role as CEO to Executive Chairman of the Board. Goldsmith has also been appointed to the Board. Goldsmith joined Instructure as President in June 2018, after spending eight years as a senior executive at Veeva Systems, a cloud-based software provider for the global life sciences industries. Instructure, a software-as-a-service technology company, provides applications for learning, assessment, and performance management worldwide. GPS Insight, AZ - GPS Insight announced the promotion of Gary Fitzgerald to CEO. Former CEO and Founder, Rob Donat, will remain with the company as Chairman of the Board. Fitzgerald served as Vice President of Technology for almost two years and led the company’s product development efforts, technical teams, and security practice. Fitzgerald joined GPS Insight in November 2016 from GE, where he served as an enterprise architect for ten years. In May 2018 Telematics vendor GPS Insight received an investment from private equity firm Bregal Sagemount to fund the continued growth as a provider of cloud-based fleet management software. GPS Insight provides GPS fleet tracking software and E-log solutions for businesses and government agencies with mobile assets. Healthwise Incorporated, ID - Healthwise announced that Adam Husney, MD, has been named CEO of Healthwise. Husney was named Chief Medical Officer in 2016 and will continue to serve in that role. Husney will succeed CEO Robert “Bob” Kyte. Kyte served Healthwise as general counsel and other key roles from 1990-2006 before returning to Healthwise as CEO in 2016. Healthwise develops health information solutions, decision support tools, behavior change assistance, and personal care planning to health plans, care management companies, hospitals, and consumer health portals. Electronics for Imaging, CA - William D. Muir, Jr., 50, was appointed as CEO and President of the company, and a member of the Board. Mr. Guy Gecht will step down as the Company’s CEO and President, and will remain on the Board. Prior to his appointment, Mr. Muir served as COO of Jabil. Previously he was EVP and CEO, Global Manufacturing Services at Jabil. Instagram, CA - Facebook is naming Adam Mosseri, a 10-year veteran at the company, as the CEO of Instagram. The appointment comes after the photo-sharing apps co-founders resigned without giving a clear reason. Kevin Systrom, Instagram's CEO, and Mike Krieger, its other co-founder, announced Mosseris appointment. Mosseri was named as Instagram's head of product in May. He began as a designer at Facebook and most recently led its news feed. Rambus, CA - Rambus appointed interim President and CEO Luc Seraphin, 55, as the President and CEO of the Company. Prior, he was the SVP and General Manager of Rambus' Memory and Interface Division since November 2015. The technology licensing company’s board had terminated Dr. Ron Black as CEO and as a board member due to inappropriate conduct in June 2018. Centrify Corporation, CA - Tim Steinkopf, CFO, has been named CEO of Centrify effective January 1, 2019. During his seven years as CFO at Centrify. Tom Kemp, who is transitioning out of the role of CEO as part of this evolution, co-founded Centrify 14 years ago and has led the company through a number of industry milestones. Thoma Bravo acquired a majority interest in Centrify, from its venture capital investors, led by Mayfield, Accel Partners, Jackson Square Ventures and Index Ventures in July 2018. Centrify Corporation designs and develops unified identity management software for cloud, mobile, and data center platforms. Lastline, CA - Lastline announced that John DiLullo has joined the company as CEO. Mr. DiLullo brings 25 years of demonstrated success in enterprise security, networking, and AI, with market leaders Cisco, Avaya, SonicWall, and Aruba Networks. Most recently he was EVP for F5 Network's $2 billion+ Worldwide Sales and Customer Operations, delivering improved performance and security to Enterprise and Service Provider data centers and public cloud environments. Co-founder and previous CEO, Dr. Christopher Kruegel, will transition to Chief Product Officer, pursuing his passion for building amazing products. Lastline develops and delivers security and malware protection platform to detect, stop, and manage attacks, persistent threats, polymorphic viruses, zero-day exploits, and evasive and cyber malware threats for private and public organizations. EdgeWave, CA - EdgeWave announced promotion of Steve Kelley to serve as CEO and appointed Louis Ryan as Executive Chairman of the Board of Directors. Previously, Kelley had served as President and Ryan as CEO of the company. Kelley has more than 20 years of experience in the cyber security sector, serving in crucial leadership positions at Trustwave, BeyondTrust and Websense prior to joining EdgeWave. EdgeWave develops and markets on demand, on-premises, and hybrid secure content management solutions primarily in North America. KQED, CA - KQED announced that President and CEO John Boland will retire next September 2019 and be succeeded by Michael Isip. Isip is currently EVP and COO at the San Francisco-based media organization. As part of the succession plan, the KQED board chose Isip to be next in line and appointed him to the position of President Elect. Isip will serve as President Elect and COO until he takes over for Boland next year. Prior to coming to KQED, Isip led local production as an executive producer at KVIE Public Television in Sacramento. KQED provides television, radio, digital media, and educational services. ID Analytics, CA - ID Analytics, a Symantec company, has announced Ajay Nigam as CEO, replacing Scott Carter who left in July 2018. Nigam joined ID Analytics as the company’s SVP of product and technology in May 2017 and has been responsible for leading the company’s strategy and roadmap to bring new products to market. In his new role as CEO, he will report to Nico Popp, SVP of information protection, at Symantec. Before joining ID Analytics, Nigam served as SVP of products for BrightPoint Security, later acquired by ServiceNow. ID Analytics develops consumer risk management software solutions. Beneficent Technology, CA - Benetech announced that Betsy Beaumon will assume the role of CEO. Beaumon has served in executive leadership roles for both for-profit and nonprofit technology organizations, most recently as Benetech’s President, driving the development and growth of all Benetech initiatives including inclusive education, poverty alleviation, and human rights. In conjunction with Beaumon assuming the CEO role, founder Jim Fruchterman will shift to leading a systems-level, strategic technology consulting project for philanthropy and coalitions of nonprofits, for profits, and governments under the Benetech umbrella of solutions. Fruchterman will also continue as a Benetech board member, evangelist, and advisor. Beneficent Technology develops software for social good. RealScout, CA - RealScout appointed Arthur Kaneko, formerly COO, to CEO, and Andrew Flachner, formerly CEO to President. Arthur joined RealScout in 2014, where he, in various times, led their sales, marketing and operations organizations, and has been central to company’s product and corporate strategy. RealScout develops and operates a web and mobile platform that helps real estate agents collaborate with their clients. Infomart Data Centers, CA - Infomart Data Centers appointed distinguished data center executive Brian Cox as CEO and member of the board of directors. Mr. Cox succeeds Phil Koen, who became interim CEO in June and will remain actively involved in the company as a member of the board of directors. Mr. Cox was most recently COO of Cologix. Mr. Koen took over as Interim CEO, succeeding Infomart’s founder and former President, John Sheputis who stepped down in January 2018. Infomart Data Centers owns and operates data centers in Dallas, Silicon Valley, Ashburn, and Oregon. Nextdoor.com, CA - Nextdoor announced Sarah Friar will become the company’s next CEO in December. Friar will join Nextdoor from Square where she has served as CFO since 2012. Sarah joined Square in July 2012 from salesforce.com, where she served as SVP of Finance & Strategy. CEO Nirav Tolia stepped down in July 2018. Nextdoor.com operates a social networking site that connects neighbors to discuss local issues online in the United States. VizExplorer, CA - VizExplorer has appointed David Patent as CEO. He will assume the day-to-day leadership of the company and will also join its Board of Directors. A veteran of the gaming industry, Patent has nearly two decades of professional experience, including C-Level management and strategy roles. Patent began his slots career at Harrah’s Entertainment and moved through a number of operational roles before leaving the company to become the President and COO of Rush Street Gaming in 2009. He replaces Ron Frankel as CEO who served from April to September 2018. VizExplorer develops operational intelligence solutions for gaming, manufacturing, and sports and entertainment industries. Sierra Wireless, BC, Canada - Sierra Wireless announced that Kent Thexton has been appointed to the position of President & CEO of the company. Mr. Thexton has been serving as interim President & CEO since May 2018. Mr. Thexton brings a wealth of knowledge and leadership experience in the cellular wireless and IoT industries as well as venture capital technology investing. He held prominent roles as Founding Chief Marketing Officer and board member of O2 Plc in the U.K. (now part of Telefonica). He replaces Jason Cohenour who retired from his position as President, CEO & Director in May 2018. Userful Corporation, AB, Canada - Userful Corporation announced that it has named John Marshall as CEO. He assumes leadership of the company and will also join Userful’s Board. Tim Griffin, Userful Founder and former President, remains with the company as Chief Technology Officer. Prior to Userful, John served in a range of startup leadership roles for companies including Cirrent, which creates reliable and secure Wi-Fi connectivity for IoT. Userful Corporation is a desktop virtualization and multi-station Linux computing company in Canada. BT Group Plc, United Kingdom - BT Group Plc appointed Philip Jansen as CEO and board member. He will replace Gavin Patterson as CEO on 1 February 2019. Philip joins from Worldpay where he will be stepping down as Co-CEO at the end of the year, serving in the role since 2013. TDC Group, Denmark - Allison Kirkby is named CEO of Danish telecommunications company TDC Group. Allison is a familiar name within the international telco industry, as she currently holds the position of President & Group CEO at Tele2 AB. Allison Kirkby joined Tele2 AB in 2014 as CFO and has been CEO of Tele2 since 2015. She replaces Pernille Erenbjerg who resigned as Group CEO and President in May 2018. Tele2 AB, Sweden - Anders Nilsson is incoming CEO of the Tele2 as the company announced a number of Leadership Team positions in the merged company of Tele2 and Com Hem. In January 2018, Tele2 and Com Hem announced the intention to merge the two companies. Nilsson has been CEO Officer of Com Hem. He replaces Allison Kirkby who has been named CEO of Danish telecommunications company TDC Group. KCOM Group Plc, United Kingdom - KCOM Group Plc appointed Graham Sutherland as CEO. Bill Halbert, KCOM's current CEO will remain with the business for a sufficient period to ensure the smooth transition. Over the last decade Sutherland has held a number of CEO roles within BT Group Plc, including BT Business and Public Sector and BT Ireland. KCOM Group Plc provides IP-based communication and collaboration services to enterprises, small and medium-sized businesses, and consumers in the United Kingdom. Nelly.com, Sweden - Qliro Group has appointed Anna Ullman Sersé as CEO of Nelly. Anna has been Interim Head of Nelly since April 2018 and Head of Business Development at Qliro Group since 2016. Prior to that, she was Head of Business Development for Qliro Group since 2016. She replaces Jan Wallsin who left the group in April 2018. Nelly.com is an ecommerce site that offers clothes for women and girls such as clothing, shoes, dresses, lingerie and trousers from leading brands. Its parent company Qliro Group is a leading Nordic e-commerce group in consumer goods, lifestyle products and related financial services. Nektan Plc, Gibraltar - Nektan Plc announced that Lucy Buckley has been appointed to the company and its board as CEO. Lucy has spent the past 8 years at Inspired Entertainment Inc, most recently as VP of its Interactive division. Following Lucy's appointment, Gary Shaw will cease to be Interim CEO whilst continuing as an Executive Director. Nektan Plc, together with its subsidiaries, operates as a B2B mobile gaming solutions and services provider in Gibraltar, the United Kingdom, the United States, India, and internationally. Escher Group Holdings Plc, Ireland - Escher Group announced that Nick Manolis has been named CEO of Escher, and that he has also been appointed to the company’s board of directors. Manolis has spent the last ten years at TrueCommerce, a global provider of retail trading partner connectivity and integration solutions, as president and CEO. CEO Liam Church had retired in January 2018 before the company was acquired by Hanover Active Equity Fund LP which already had 25.5% stake in Escher. Escher Group Holdings Plc, together with its subsidiaries, provides distributed messaging and data management solutions and services. Paytm Payments Bank Limited, India - Paytm Payments Bank appointed Satish Kumar Gupta as its managing director and CEO. Gupta brings over 35 years of leadership experience to Paytm Payments Bank, with prior senior roles at SBI and NPCI. Paytm Payments Bank Limited operates a mobile and Internet based wallet.